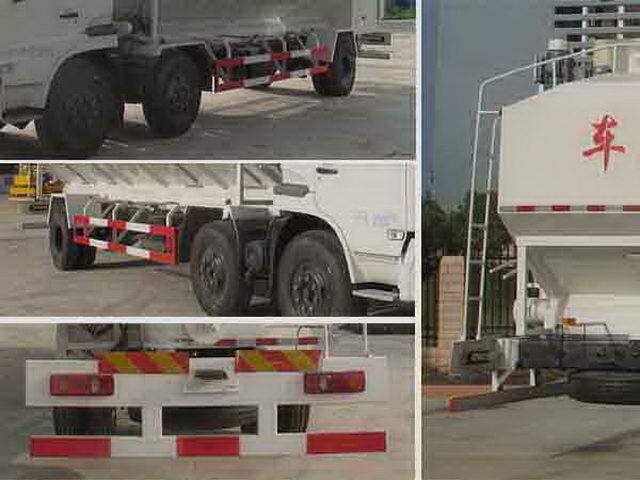 Tank size:8100*2480*2150(mm);Effective volume of tank:29.5Cubic metre;medium:Expansion and pellet feed,Powder;density:500kg/Cubic metre;Shape length/The front suspension/Wheelbase/The corresponding relationship(mm): 10980/1430/1700+5100/2750;10980/1430/1800+5000/2750.Protective material:Q235Acarbon steel,After the protection using welding connection. 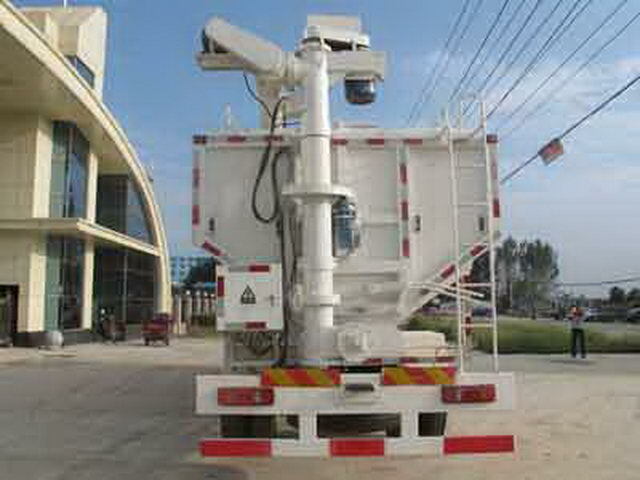 Rear protective section height dimension:50*120(mm),Bottom edge height530mm. Traveling data recorder with satellite positioning function. This car only choose the engine model forISDe180 40;ISDe185 40;ISDe210 40;EQH180-40;ISB180 40;ISB210 40;ISDe245 40,Respectively, corresponding to the engine fuel consumption value is:36.9;37.21;34.2;36.78;34.7;34.4;37.2.This car needs to be installed.ABS,ABSManufacturer/Model:The East Branch Knorr commercial vehicle braking system(Shiyan)Limited company/3631010-C2000. Other: The optional front exhaust pipe.ABSManufacturer:The East Branch Knorr commercial vehicle braking system(Shiyan)Limited company;Model:3631010-C2000.Optional disc brake.ISDe210 40,ISB180 40,ISB210 40Optional engine speed limiting device,Speed limit80km/h.